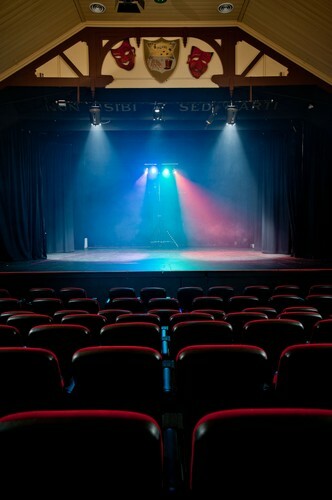 Close to the heart of Adelaide, The Goodwood Institute is Unley’s premier performance venue and home to Urban Myth Theatre Company. Urban Myth Theatre Company is the new Venue Manager of The Goodwood Institute and is a vibrant theatre company in its own right with a 32-year history of investing in the creativity, skills and social awareness of young people and emerging artists through their participation in professionally resourced theatre creation. This multi-purpose venue is the ideal setting for a range of events including Theatre, Dance, Music and Visual Arts, seminars and conferences, meetings, award nights and private functions. Located on the Goodwood Road ‘Strip’, the venue has access to motels, shopping, restaurants and cafes plus Trams, Trains and Buses that all come directly from the Adelaide City Centre and of course the venue is even a pleasant walk or ride from the city along bike paths. Your patrons will enjoy the close proximity to Adelaide City, air-conditioned foyers and venues, comfortable seating and a vibrant arts atmosphere. You will be hosted by a management that is professional, experienced and welcoming to local, state and international arts.